The proteins in Moringa TEA gives 18 of the 20 known amino acids, including all eight amino acids classified as essential. These essential amino acids cannot be synthesized by the body and must come from a person’s diet, usually from red meat or dairy products. These foods are not available in many parts of the world and are lacking in the diets of vegetarians, elderly people, and children. Moringa, with it’s 90+ verifiable nutrients, not only contains all these elements, but also has significant portions of Vitamins B, B1, B2, B3, D, and E, polyphenols (antioxidants), other minerals, fiber, and is one of the highest, naturally occurring sources of chlorophyll. While some of the benefits of the Moringa plant have been tapped by various impoverished civilizations, the plant’s nutritional potential was not “discovered” by modern societies until the late nineteenth century. The indigenous knowledge and use of Moringa is referenced in more than 80 countries and known in over 200 local languages, has over 300 references to it in ayurvedic medicine. Even with the known value of this plant, little has been done to introduce its amazing benefits to the world. Cells go through regeneration as often as every couple of days. Our skin is totally replaced every 27 days and our skeleton is renewed every two years. Every day billions of cells replace the ones that came before. Every regeneration must be a perfect copy. This process of regeneration is threatened by many things: pollution in the air, water, and soil, radiation from the sun, stress, lifestyle choices, and even the ingredients in our over processed foods. One thing is certain; to be healthy a body needs the tiny biomolecules called amino acids. As small as they are, amino acids play a big role in a body’s healthy nutrition. In the right bio-available amounts, they fortify the body against the most common health concerns, and have been shown in studies to combat the aging process. ISOLEUCINE builds proteins and enzymes and it provides ingredients used to create other essential biochemical components in your body, some of which promote energy and stimulate the brain to keep you alert. LYSINE insures your body absorbs the right amount of calcium. It also helps form collagen used in your bone cartilage and connective tissues. And lysine aids in the production of antibodies, hormones, and enzymes. Recent studies have shown lysine improves the balance of nutrients that reduce viral growth. CYSTINE functions as an antioxidant and is a powerful aid to the body in protecting against radiation and pollution. It can help slow the aging process, deactivate free radicals, and neutralize toxins. It also aids in protein synthesis and presents cellular change. It is necessary for the formation of new skin cells, which aids in the recovery from burns and surgical operations. “Chlorophyll is involved in the most important chemical reaction on earth, photosynthesis. Our lives would not be possible without it. Chlorophyll is the master chemical at the base of all of our food supply and oxygen production. Chlorophyll, often referred to as “the blood of plants”, is closely related to hemoglobin – the red pigment of red blood cells responsible for oxygen transport in many animals. The main difference between the two molecules is the metallic element in the center. In human blood hemoglobin consists of iron, while in chlorophyll, the metallic element is magnesium. Some people believe that this resemblance helps the chlorophyll to be better absorbed and used to “build up” blood and fight anemia. Some scientists and nutritionists do not believe it is absorbed internally (to reach the blood) but rather that it may act locally to support the health of the mouth, stomach and intestinal tract. In either case, there is much evidence that chlorophyll could cure or ease acute infection of the respiratory tract and sinuses, chronic ulcers, and bad breath; it also accelerates wound healing and has been shown in animal studies to nullify the cancer-inducing effects of a variety of environmental (including food) toxins. Other studies have shown that chlorophyll supports liver function and detoxification of the body. but what are phytonutrients and where are they found? Rui Hai Liu, M.D., Ph.D., Associate Professor of Food Science at Cornell University, has examined antioxidant activity in various fruits. Dr. Liu estimates there are probably thousands of phytonutrinets in plant foods, and that each one works with others to perform many protective functions. These include stimulating the immune system, warding off damage from free radicals and putting the brakes on cell growth. What are the major classes of phytonutrients? Of all the phytonutrients, the most known about are carotenoids, the red, orange, and yellow pigments in fruits and vegetables. The carotenoids most commonly found in vegetables (and in plasma) are listed below along with common sources of these compounds. Fruits and vegetables that are high in carotenoids appear to protect humans against certain cancers, heart disease, and age-related macular degeneration. Polyphenolic compounds are natural components of a wide variety of plants; they are also known as secondary plant metabolites. Food sources rich in polyphenols include onion, apple, tea, red wine, red grapes, grape juice, strawberries, raspberries, blueberries, cranberries, and certain nuts. The average polyphenol/ flavonoid intake in the U.S. has not been determined with precision, in large part, because there is presently no U.S. national food database for these compounds (USDA scientists and their colleagues are in the process of developing a database for foods rich in polyphenols). Scientists at the Food Composition Laboratory, Beltsville Human Nutrition Research Center are currently developing new methodology for the accurate measurement of polyphenols in foods. Polyphenols can be classified as nonflavonoids and flavonoids. The flavonoids quercetin and catechins are the most extensively studied polyphenols relative to absorption and metabolism. What is the present status of the art of phytonutrients research? Population studies have linked fruit and vegetable consumption with lowering the risk for chronic diseases including specific cancers and heart disease. While media and consumer interest in phytonutrients and functional foods is far ahead of established proof that documents the health benefits of these foods or food components for humans, phytonutrient research is experiencing remarkable growth. For now, it appears that an effective strategy for reducing risk of cancer and heart disease is to increase consumption of phytonutrient-rich foods including fruits, vegetables, grains and teas. but what are they, and what exactly do they do for us? Vitamins and minerals perform many vital functions for the body and can lower your risk for many chronic diseases and cancers. These substances are essential to normal metabolism, growth and development, and regulation of the functioning of your body’s cells and tissues. 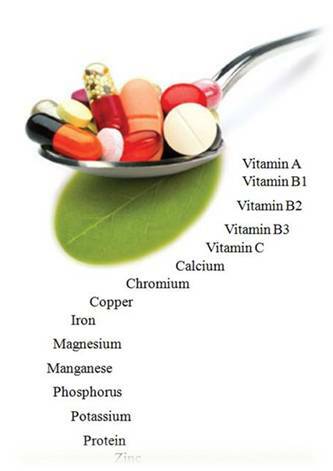 Vitamins and minerals are obtained from food, except for vitamin D and vitamin K, which the body can synthesize. Minerals are simple chemical elements and are an essential part of your body’s functioning. Minerals cannot be synthesized by your body and must be obtained through the food you eat. What is a vitamin or mineral deficiency? A deficiency of a vitamin or mineral can result if you are not getting enough of it in your diet, your ordinary nutritional needs increase, or you are unable to absorb the nutrients from the food you eat. A deficiency or lack of a vitamin or mineral in your diet can lead to a nutritional deficiency disease, such as rickets. There are complex interactions among vitamins and minerals, and a deficiency or excess of one affects others. What is the difference between a water soluble vitamin and a fat soluble vitamin? A water soluble vitamin (vitamin B and C) can not be stored by the body and must be replenished every day. A vitamin that is stored by the body is known as a fat soluble (vitamin A, D, E, and K). Over time fat soluble vitamins can build up to toxic levels. What are the Daily Recommended Allowances (RDAs)? Two agencies, the National Academy of Sciences and the U.S. Food and Drug Administration, have both issued standards for meeting the nutritional needs of men, women, and children. Expressed as RDA, they generally indicate the amount of a particular nutrient that is needed to avoid nutritional diseases. What are antioxidant vitamins and why are they important? Our bodies are actually battlegrounds for infection and diseases. Normal body functions, such as breathing or physical activity, and other lifestyle habits, such as smoking, produce substances called free radicals that attack healthy cells. When these healthy cells are weakened, they are more susceptible to cardiovascular disease and certain types of cancers. Antioxidants, such as vitamins C and E, and cartenoids, which include beta-carotene and lutein, help protect healthy cells from damage caused by free radicals. We have vitamins A, B, C, D, E, AND K.
Whatever happened to vitamins F-J? As defined by A.D.A.M. Inc. Definition: Vitamin A is a fat-soluble vitamin. Function: Vitamin A (retinol) essential in the formation and maintenance of healthy teeth, skeletal and soft tissue, mucous membranes, and skin. It may also be required for reproduction and lactation. It is also known as retinol because it generates the pigments in the retina. Vitamin A promotes good vision, especially in dim light. When Vitamin A is manufactured by plants, it is present in the form of a precursor called beta carotene. Beta carotene is an anti-oxidant—a substance that protects the body against disease and premature aging by fighting the cell-damaging chemicals called free radicals. Vegetable sources of beta-carotene are fat and cholesterol free (not so with vitamin A from dairy and meat products). The body regulates the conversion of beta-carotene to Vitamin A based on the body’s needs. The more intense the color of a fruit or vegetable, the higher the beta-carotene content. Deficiency: Vitamin A deficiency can increase the susceptibility to infectious diseases, as well as cause vision problems. Definition: Vitamin B1, one of the B vitamins, a group of water-soluble vitamins that participate in many of the chemical reactions in the body. Thiamine is important in the production of energy. Function: Thiamine helps the body cells convert carbohydrates into energy. It is also essential for the functioning of the heart, muscles, and nervous system. Deficiency: A deficiency of thiamine can cause weakness, fatigue, psychosis, and nerve damage. Definition: A water-soluble vitamin required by the body for health, growth and reproduction; one of the B-complex vitamins. Function: Riboflavin works with the other B vitamins. It is important for body growth and red cell production, and helps in releasing energy from carbohydrates. Because riboflavin is destroyed by exposure to light, foods with riboflavin should not be stored in glass containers that are exposed to light. Deficiency: Deficiency symptoms include dry and cracked skin and eyes that are sensitive to bright light. Vitamin B3 (Niacin) Definition: Niacin (vitamin B3) is a water-soluble vitamin required by the body for health, growth and reproduction; part of the vitamin B complex. Function: Niacin assists in the functioning of the digestive system, skin, and nerves. It is also important for the conversion of food to energy. Deficiency: A deficiency of niacin causes pellagra. The symptoms include inflamed skin, digestive problems, and mental impairment. Definition: A water-soluble vitamin, part of the B complex. Function: Vitamin B6 plays a role in the synthesis of antibodies in the immune system. It helps maintain normal nerve function and acts in the formation of red blood cells. It is also required for the chemical reactions of proteins. The higher the protein intake, the more need for vitamin B6. Deficiency: Deficiency of this vitamin is not common in the United States. Definition: Biotin, a water-soluble vitamin, helps the body break down and use food. Biotin is part of the B vitamin complex. Function: Biotin is essential for the metabolism of proteins and carbohydrates (like the other B vitamins), and in the synthesis of hormones and cholesterol. Deficiency: There is no known dietary deficiency of Biotin. Definition: A water-soluble vitamin that is necessary for normal growth and development. Function: Vitamin C promotes healthy teeth and gums, helps in the absorption of iron, aids in the maintenance of normal connective tissue, and promotes wound healing. It also helps the body’s immune system. Deficiency: A deficiency of vitamin C causes the disease scurvy, which is rare in the U.S.
Vitamin D (Cholecalciferol) Definition: Vitamin D is a fat-soluble vitamin that is used in the absorption of calcium. Function: Vitamin D promotes the body’s absorption of calcium, which is essential for the normal development of healthy teeth and bones. It also helps maintain adequate blood levels of the minerals calcium and phosphorus. Vitamin D is also known as the “sunshine vitamin” because the body manufactures the vitamin after being exposed to sunshine. Ten to 15 minutes of sunshine 3 times weekly is adequate to produce the body’s requirement of vitamin D.
Deficiency: A vitamin D deficiency leads to soft bones (rickets). Vitamin E (Tocopherol) Definition: Vitamin E is a fat-soluble vitamin; it is one of the vitamins that act as antioxidants. Function: Vitamin E is an antioxidant that protects body tissue from the damage of oxidation. It is important in the formation of red blood cells and the use of vitamin K.
Deficiency: There is no known dietary deficiency of vitamin E.
Definition: Vitamin K is a fat-soluble vitamin that plays an important role in blood clotting. Function: Vitamin K is known as the clotting vitamin, because without it blood would not clot. Some studies indicate that it helps in maintaining strong bones in the elderly. Vitamin K is also made by the bacteria that line the gastrointestinal tract. Deficiency: Vitamin K deficiency is very rare. It occurs when there is an inability to absorb the vitamin from the intestinal tract, and can also occur after prolonged treatment with oral antibiotics. Definition: The most plentiful mineral found in the human body; calcium accounts for 1.5% to 2% of an adult’s total body weight. The teeth and the bones contain the majority of the body’s calcium (about 99%). Calcium in these tissues is concentrated in the form of calcium phosphate salts. Body tissues, blood, and other body fluids contain the remaining calcium (1%). Function: Calcium is one of the most important minerals for the growth, maintenance, and reproduction of the human body. The bones in the human body incorporate calcium into their structure. Bones, like other tissues in the body, are continually being reabsorbed and re-formed. Teeth are also calcified tissues. They incorporate calcium in their structure in a manner similar to bones. Calcium is essential for the formation of and maintenance of healthy teeth. Calcium has other functions in addition to maintaining healthy teeth and bones. Blood coagulation, transmission of nerve impulses, muscle contraction and relaxation, normal heart beat, stimulation of hormone secretion, activation of enzyme reactions, as well as other functions, all require small amounts of calcium. Deficiency: Low intakes of calcium for prolonged periods of time can lead to calcium deficiency. This condition leads to osteoporsis, loss of the jaw bone (and secondary oral health problems), hypertension, and other disorders. Definition: An essential trace mineral that is present in all of the body tissues. Function: Copper, along with iron, helps in the formation of red blood cells. It also helps in keeping the blood vessels, nerves, immune system, and bones healthy. Deficiency: Dietary deficiency of copper is not very common in humans. Definition: Iron is an important trace mineral that is found in every cell of the body, usually combined with protein. Function: The mineral iron is an essential nutrient for humans because it is part of blood cells, which carry oxygen to all body cells. About 30% of the iron in our bodies is in storage to be readily available to replace lost iron. Iron is essential to the formation of hemoglobin and myoglobin, which carry the oxygen in the blood and the muscle. It also makes up part of many proteins and enzymes in the body. Deficiency: Iron deficiency is the most common nutritional deficiency worldwide. Although full-blown anemia is rarely evident, partial deficiency is widespread. Initial symptoms of iron deficiency anemia are fatigue and lack of energy. Dizziness, weight loss, and lowered immunity can also occur. Other symptoms of decreased iron stores include shortness of breath, irritability, and/or lethargy. Definition: Potassium is a mineral that is involved in both electrical and cellular function in the body. (In the body it is classified as an electrolyte). Function: Potassium is a very important mineral to the human body. It assists in the regulation of the acid-base and water balance in the blood and the body tissues. It assists in protein synthesis from amino acids and in carbohydrate metabolism. It is necessary for the building of muscle and for normal body growth. Deficiency: A deficiency of potassium can occur in people with chronic disease or as a result of the aging process. The most common symptom of potassium depletion is fatigue. Other common problems associates with reduced potassium levels are hypertension, congestive heart failure, cardiac arrthymias, and depression. Other symptoms include slow reflexes, muscle weakness, and dry skin. A variety of conditions can cause the loss of potassium from the body. The most common of these conditions are vomiting, diarrhea, and other gastrointestinal problems. Definition: Magnesium is an essential mineral for human nutrition. Function: Magnesium in the body serves several important metabolic functions. It plays a role in the production and transport of energy. It is also important for the contraction and relaxation of muscles. Magnesium is involved in the synthesis of protein, and it assists in the functioning of certain enzymes in the body. Toxic symptoms from increased magnesium intake are not common because the body eliminates excess amounts. Magnesium excess almost always occurs only when magnesium is supplemented as a medication. Definition: Manganese is required by the body for normal growth and health. Function: Manganese helps your body break down fats, carbohydrates, and proteins. It does so as part of several enzymes. Deficiency: Manganese deficiency has not been reported in humans. Definition: Phosphorus is a mineral that makes up 1% of the total body weight. It is present in every cell of the body, with 85% of the body’s phosphorus being found in the bones and teeth. Function: The main function of phosphorus is in the formation of bones and teeth. It plays an important role in the body’s utilization of carbohydrates and fats and in the synthesis of protein for the growth, maintenance, and repair of cells and tissues. It is also crucial for the production of ATP, a molecule the body uses to store energy. Phosphorus works with the B vitamins. It also assists in the contraction of muscles, in the functioning of kidneys, in maintaining the regularity of the heartbeat, and in nerve conduction. Deficiency: There is generally no deficiency of phosphorus because it is so readily available in the food supply. Excessively high levels of phosphorus in the blood, although rare, can combine with calcium to form deposits in soft tissues such as muscle. High levels of phosphorus in blood only occur in people with severe kidney disease or severe dysfunction of their calcium regulation. Definition: Zinc is an important trace mineral. This element is second only to iron in its concentration in the body. Function: Zinc plays an important role in the proper functioning of the immune system in the body. It is required for the enzyme activities necessary for cell division, cell growth, and wound healing. It plays a role in the acuity of the senses of smell and taste. Zinc is also involved in the metabolism of carbohydrates. Low-protein diets and vegetarian diets tend to be low in zinc. Not all fats are created equal. Research has shown it is the type of fat not the amount of fat we consume that is important. There are four basic types of fat that the body takes from food: cholesterol, saturated fat, monounsaturated fat and polyunsaturated essential fatty acids. The polyunsaturated essential fatty acids are the one’s the body uses to build itself. A particulary bad fifth group of fats are the man-made hyrogenated trans-fats that are found in just about all processed foods containing shortening or oil. Animal sources contain mostly saturated fats. Many plant derived fats are unsaturated fats. Saturated fats increase the occurrence of among other things, chronic diseases, inflammation, heart problems and strokes. Unsaturated fats on the other hand not only nourish the body, they protect against many diseases and fight inflammation and infections. · Saturated fats: Solid at room temperature. Found in meat, dairy products, and certain vegetable oils, such as palm and coconut oils. · Trans fats: Solid at room temperature. Processed fats not found in nature that are used to make shelf-stable shortenings such as Crisco, fast-food French fries, many types of margarine, and commercial baked goods such as doughnuts and cookies. · Monounsaturated fats: Liquid at room temperature. Includes olive oil, peanut oil, and canola oil. Also found in peanuts, cashews, many other nuts, and avocados. · Polyunsaturated fats: Liquid at room temperature. Includes plant oils, such as corn and soybean. Also found in seeds, legumes, whole grains, and fatty fish, such as salmon and tuna. Omega-3 fatty acids and omega-6 fatty acids are polyunsaturated fats. The former is found in oily cold-water fish, walnuts, flaxseed, wheat germ, and canola oil; the latter in corn, safflower, sunflower, and soybean oil. oil (MUFA), is not an essential fatty acid as the body can synthesize it from other nutritional compounds that are consumed. It occurs naturally in greater quantities than any other fatty acid. Oleic acid is the main fat in olive oil. Olive oil is well known for it’s health benefits, with science clearly linking oleic acid to lower cardiovascular risk, lower blood levels of cholesterol and lower levels of blood glucose. Olive oil is about 75% oleic acid, Moringa Oliefera follows closely having about 73% oleic acid. (Oleifera is a Latin term meaning oil containing). Oleic acid comprises about 55% in Canola oil and about 20% in sunflower oil. Studies suggest that in countries with higher obesity prevalence, it is the shift from MUFA (such as olive oil) to PUFA (vegetable oils) that particularly appears to be associated with the risk of obesity. EFAs belong to the class of fatty acids called polyunsaturated fatty acids (PUFAs). The unsaturated fats, Omega 3 (alpha-linolenic acid) and Omega 6, (linoleic acid) are considered Essential Fatty Acids because they are needed to maintain life. Like essential amino acids, they cannot be manufactured by the body and so must come from the food we eat. In addition to providing energy, Essential Fatty Acids are part of the structure of every cell in our bodies. Together, omega-3 and omega-6 fatty acids play a crucial role in brain function as well as normal growth and development. With respect to fatty acids – balance appears to be important. Human beings evolved on a diet with a ratio of omega-6 to omega-3 essential fatty acids (EFAs) of approximately 1:1. Western diets are woefully deficient in omega-3 fatty acids, and have excessive amounts of omega-6 fatty acids with the ratio being 15:1-17:1. In todays world, cereals – mainly wheat, corn and rice – predominate, leading to a relative deficiency of omega 3 fats compared with omega 6 fats.This imbalance is worsened by the consumption of meat from intensively reared animals fed grain relatively rich in omega 6 fats rather than wild plants with a high omega 3 fat content. Even farmed fish contain lower amounts of omega 3 than those living wild. The wide use of polyunsaturated oils (linoleic acid is the major polyunsaturated fatty acid in vegetable oils) also exaberates the ratio imbalance. Research shows the proper ratio of Omega-6 to Omega-3 fatty acids is a key factor in preventing many of the modern chronic diseases including coronary heart disease, cardiac arrhythmias, high blood pressure, some cancers, macular denegeration, inflammatory and auto-immune disorders. Bringing the fats into proper proportion may actually relieve those conditions, as the right balance of omega-6 to omega-3 fatty acids enables the body to reduce inflammation, lower blood pressure, prevent irregular heart beats and promote healthy blood flow. For a healthy balance, it is recommended that the ratio be less than 5:1. Over 2,000 scientific studies have demonstrated the wide range of problems associated with Omega-3 deficiencies. The American diet is almost devoid of Omega 3’s, as there are few sources of Omega 3 except for certain types of fish. In fact, researchers believe that about 60% of Americans are deficient in Omega-3 fatty acids, and about20% have so little that test methods cannot even detect any in their blood. Just as muscles are made of protein and bones are made of calcium, the human brain is more than 60% structural fat. But it’s not just any fat that our brains are made of. It has to be certain types of fats, and we no longer eat these types of fats like we used to. Instead, we eat man-made trans-fats and excessive amounts of saturated fats and vegetable oils, all of which interfere which our body’s attempt to utilize the small amount of Omega-3 fats that it gets. A Purdue University study has showed that kids low in Omega-3 essential fatty acids are significantly more likely to be hyperactive, have learning disorders, and to display behavioral problems. According to Dr. Joseph Mercola, Omega-3 deficiencies have also been tied to many conditions, including the following: allergies, arthritis, cancer, eczmea, diabetes, depression, dyslexia, eczema, heart diseaes, inflammatory diseases, memory problems, and violence. ……”Omega-3 fatty acids are found in cold-water fish (mackerel, herring, salmon, trout, sardines and albacore tuna), as well as oils from canola, soybean, flaxseed and walnuts. (In contrast, olive oil does not contain much of the omega-3 fatty acids.) In smaller concentrations, they are present in dark green leafy vegetables like kale and collard greens. Omega-3 fatty acids may reduce triglycerides (a form of fat), lower blood pressure and decrease inflammation (thereby reducing arthritis and other inflammatory illnesses), as well as autoimmune diseases such as lupus. They can help to prevent excessive blood clots from forming which, in turn, may decrease the risk of a heart attack and stroke. They may help prevent irregular heartbeats. When given to pregnant women and lactating mothers, omega-3 fatty acids (which are an important part of your brain) may actually increase your baby’s IQ by six points or more and may reduce the incidence of allergic disease in the offspring. They also may reduce depression and may help prevent dementia. Some studies suggest that the omega-3 fatty acids may even reduce the risk of prostate cancer, breast cancer, and colon cancer. The omega-3 fatty acids stabilize the rhythm of your heart by effectively removing hyper-excitable cells (cells that are only barely receiving enough blood flow)from functioning, thereby reducing the likelihood of irregular heartbeats and sudden cardiac death. For most people, this is a very good thing and accounts for most of the large reduction in the likelihood of sudden cardiac death. Diet and nutrition go hand in hand. A better diet leads to better nutrition, and one important component of better nutrition is supplementation. Why? The body doesn’t absorb every nutrient consumed, making it nearly impossible to get all the right nutrients all of the time. What’s the best supplement? The one that works. Who needs to supplement their diet? Everyone! Research has shown that when supplement use increases, the use of prescription drugs goes down. According to theAmerican Medical Association, supplementation is no longer a matter of choice, as people who do not supplement their diets are at higher risk for degenerative diseases; and Dr. John Klippel, president of the Arthritis Foundation, stated “There are lots of choices that people need to make and supplements are one of them. Without the proper nutrients needed to do their job, our bodies are fighting a losing battle to keep us healthy, the result being sickness and disease. A hundred years ago people died primarily from infectious diseases such as influenza, pneumonia, and diphtheria. Today the leading causes of death and disability are heart disease, cancer, osteoporosis, arthritis, and other degenerative diseases. In large part this change is due to how we eat (fast foods, over- processed foods), what we eat(partially hydrogenated oils, high fructose corn syrup), and the quality of what we eat.The Center for Disease Control reports that 5 out of every 10 deaths are due to poor diet. The CDC says that translates to almost 400,000 Americans dying every year due to obesity from poor nutrition or lack of exercise. The publication What We Eat in America:NHANES 2001-2002, based on a federal dietary survey of almost 9,000 people, shows that almost a third of us are getting too little Vitamin C, almost half too little vitamin A, more than half too little magnesium, 92 to 97% too little fiber and potassium, and 93% too little vitamin E.
A 1991 study done by the British, and a more recent one done by the University of Texas based on USDA data, show that the food grown today is less nutritious than that grown 60 years ago, due to soil depletion, fertilizers, and high yield varieties. While fertilizers cause plants to grow bigger and faster, they do nothing to increase the plant’s ability to absorb nutrients at a faster rate. Research has also found that plants have a fixed amount of energy and varieties with high yields may not have the energy to absorb enough nutrients from the soil to fully supply that high yield. These studies show that onions have 75% less calcium, potatoes 35% less calcium and 45% less iron, spinach 60% less iron, cabbage 71% less iron, and carrots 75% less magnesium than they did in 1940. According to R. Bianchi, a globally recognized food and beverage formulator, out of the approximately 35,000 food products in the grocery store only 1200 to 1500 of the food products have nutrients we can fully absorb. 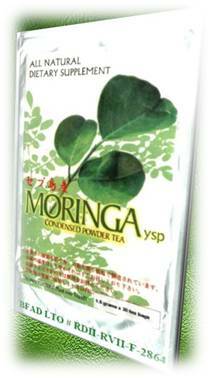 Moringa ysp Tea is 100% bio-available. That means 100% of the nutrients in Moringa Tea are absorbed. The nutrients are not processed through the digestive system, but rather are absorbed directly into the blood stream, a plus for young children, the elderly, or anyone else whose digestive system may be compromised. Moringa Tea has been formulated to be taken on an empty stomach, with the nutrients being absorbed in about 20 minutes. If taken 20-30 minutes before eating, Moringa Tea will help the body better absorb the nutrients contained within the food. Moringa Tea contains no stimulants, artificial ingredients or preservatives. A small amount of cane sugar (about 1/5 of a teaspoon) has been added to aid in osmotic absorption of the nutrients and enhance the natural flavor. Getting enough vitamin D and calcium brings a remarkable reduction in cancer risk, a recent 4-year study at Creighton University found. Women who took the combo reduced their overall risk by up to 77%. According to lead researcher Joan Lappe, PhD, RN, a professor of nursing and medicine, “Vitamin D enhances your body’s immune response — which is the first line of defense against cancer”. Everything we eat affects the ph of our bodies, either raising the ph or lowering it.The body, which prefers an alkaline state, should have a ph of about 7.3. Processed foods create an acidic state in our bodies that over time is very susceptible to disease. For example, cancer flourishes in an acidic environment, but not in an alkaline one. The majority of cancer patients possess a very low body ph (6.0 or lower). Soda pop, with a ph ranging from about 2.7-3.0 is extremely acidic. The ph level of pop can more than double by the time it has passed through the body. It does this by stealing precious minerals and fluids that may already be in short supply. The proper ph level is critical in maintaining good health. Chlorophyll is very effective in reversing the ph level in the body, and Moringa has the one of the highest levels of chlorophyll, along with an abundance of other beneficial nutrients. Moringa Tea is ph nuetral. At a recent Alzheimer’s prevention conference, experts looked at the research involving lifestyle choices that may protect the brain. The newest information focusing on nutrition indicates eating fish (Omega-3 oils) three times a week seems to prevent Alzheimer’s disease. It was also found that people who drink fruit juice not made from juice concentrates, at least three times a week, are four times less likely to develop Alzheimer’s than non-juice drinkers. The theory is that unconcentrated juice contains high levels of anti-oxidants that may play a brain-protective role. Moringa contains both Omega-3 oils and many supreme anti-oxidants. Obesity in America is at epidemic proportions. A 2007 study from the Johns Hopkins Bloomberg School of Public Health concluded that 66 percent of adults and 16 percent of children are overweight or obese. Studies have shown that the obesity rates in the US exactly follow the trend and time line of the introduction of High Fructose Corn Syrup (HFCS) into our diet. Obese people are at greater risk for serious conditions like heart disease and diabetes (the CDC reports a 15% increase in Type 2 diabetes from 2005 -2007 due to obesity) —not to mention the social stigma associated with being larger than their peers. While most people believe that they gain weight due to heredity, eating too much, or because of aging, the major reasons people gain weight include High Fructose Corn Syrup, nutrient defiency, and changes in body composition. Diitta B.Sambou, a midwife in Senegal Africa where Moringa is being used to combat malnutrition in pregnantwomen and babies, says under-nourishment and over-eating both have harmful consequences on the health of the individual. State of the World 2000, published by World watch Institute, reports that the number of people who are overfed and undernourished (a staggering 1.2 billion) now equals the number of those who are starving from from lack of food. Looking at the chart below in reverse shows some of the consequences of poor nutrition. COX-2 is short for cyclooxygenase-2, one of the key enzymes that helps the body produce the inflammatory hormonelike compounds prostaglandins and cytokines. COX-2 is activated by injury and inflammation and is essential for fighting infections and healing injuries, but when the body produces too much, the result is chronic inflammation and pain. Recent news of synthetic COX-2 inhibitors (ie Celebrex, Vioxx) and non-steroidal anti-inflammatory drugs (NSAIDS) has not been good news for consumers. In 2005, the Food and Drug Administration (FDA) advisory panel concluded that some well-known COX-2 inhibitor drugs significantly raise the risk of heart attack and stroke. The FDA issued safety concerns and additionally noted that little is known about the long-term safety of many other synthetic drugs taken for arthritis, pain and inflammation. There have also been new warnings about the short-term use of over-the-counter ibuprofen, aspirin and acetaminophen pain and anti-inflammatory drugs, because users run a greater risk of gastro-intestinal bleeding, liver and kidney damage and peptic ulcers. While synthetic COX-2 inhibitors and NSAIDS offer some relief, their benefits may be countered by dangerous side effects. “There are many problems that a simple pill can’t or won’t fix”, says Sara Walker, Professor of Internal Medicine at the University of Missouri. Synthetic medicines need to be handled with care, especially when considering whether the risks outweigh the pain relief they provide. When properly nourished, the human body is able to counter many of the daily aches and pains that life, exercise and age routinely bring. The Moringa Oleifera plant contains tremendous phytonutrients that directly support the body’s efforts to inhibit and modulate enzymes that manifest joint pain and age or exercise induced aches and pains. The United States Department of Agriculture has studied and identified natural COX-2 inhibitors such as caffeoylquinic acid, kaempherol and quercetin, all abundantly, placed by Mother Nature, in the Moringa plant. In 2004, consumers spent $44.6 billion on anti-aging products and services, with that amount expected to nearly double by 2009. Skin care products dominate the anti-aging retail market, controlling 52% of retail sales. The force behind this anti-aging boom is the routine of applying and reapplying topical agents. However, these topical remedies for sagging skin are not permanent as the skin regenerates itself every 28 days, requiring continued use of topical agents to maintain their effectiveness. The cellular turnover cycle that was 28 days in your youth expands to close to 35 days by your 40s. With new skin equaling younger-looking skin, the goal is to speed things up. A more natural way to support skin health by regenerating new skin cells without the dermabrasion and chemical peels of topical agents is with Cytokinins. Cytokinins are plant hormones that promote cellular growth and delay the aging process. Cytokinins stimulate cell division, delay the aging and destruction of tissues, protect against cell oxidation, and postpone cell death. Studies are now showing that the potent, protective, anti-aging effects of Cytokinins work the same way in human skin. When the diet includes these plant nutrients, the body as a whole can fight aging, starting at the cellular level. The most potent Cytokinin is Zeatin. the environment and our body. So the best ways to decrease disease risk and slow the aging process is to take nutrients with powerful anti-inflammatory activity on a regular basis. Through a three-tier approach involving diet, supplements, and creams, we can control the rate at which we age”. Combining a good diet with the right dietary supplement will not only help keep your skin healthy, but also looking years younger. State of the World 2000, published by World watch Institute, reports that the number of people who are overfed and undernourished (a staggering 1.2 billion) now equals the number of those who are starving from from lack of food. Obese people are at greater risk for serious conditions like diabetes and heart disease—not to mention the social stigma associated with being larger than their peers. Nutrient deficiency – Most people eat too much cooked, processed and nutrient deficient food. In fact, we Americans are the most overfed and under-nourished people in the world! According to one pharmacist, “I see a lot of overweight people who are all malnourished”. When you eat nutrient-deficient food, your stomach may be full, but your body continues to send out the ‘I’m hungry’ signal. This leads to overeating and weight gain. Changes in body composition – As people age, they gradually lose lean muscle mass and develop more fat, a process known as sarcopenia. Poor food choices and lack of exercise can accelerate this condition. This is significant because it takes between 25 and 50 calories per day to maintain a pound of lean muscle, whereas it only takes whereas it only takes 2 calories per day to maintain a pound of fat. Over time, this means that the body processes fewer and fewer calories, which in turn leads to weight gain. According to their BMIs, two-thirds of adult American women fall into the overweight or obese category. A 2007 report from the Centers for Disease Control found that the prevalence of obesity among U.S. adults doubled between 1980 and 2004. Compared to women of a generation ago, we’re 24 pounds heavier on average, and there’s been an especially alarming increase in those at the upper end of the scale (not just obese, defined as a BMI of 30 or higher, but significantly obese, with a BMI above 35). High BMIs are associated with increased risk of diabetes, high blood pressure, some cancers and heart problems. According to Nancy Snyderman, MD, medical consultant for NBC, more people will die from obesity by mid century than from all cancers combined. Dr. Walter C. Willett of the Harvard School of Public Health, stated at the annual meeting of the American Association for the Advancement of Science,being obese is currently associated with about 14 percent of cancer deaths in men and 20 percent in women, compared with about 30 percent each for smoking. He continued saying research is producing increasing evidence associating obesity with a variety of cancers, including breast, colorectal, liver, pancreas and gallbladder. Recently researchers analyzed a variety of published medical reports on obesity from 1980 to 2005 plus World Health Organization data, and concluded that the prevalence of childhood obesity increased in almost all the countries for which data was available; a trend fueled by among other factors, more sedentary lives and the increasing availability of junk food. According to Dr. Richard, Carmona, former US surgeon general and currently chairing the Strategies to Overcome and Prevent Obesity Alliance, “the rise in childhood obesity coincides with the rise in related conditions such as type 2 diabetes and high blood pressure”. He continued, “these are middle aged diseases, and we are seeing them in elementary children”. The public health consequences of the trend alarm experts, says Dr. Phillip Thomas, a surgeon who works with obese patients. Because obese children tend to carry the problem into adulthood, Thomas and other doctors say they will be sicker as they get older, suffering from degenerative diseases such as heart disease, stroke, and other ailments stemming from their weight. Dr. Thomas continued, “This is going to be the first generation that’s going to have a shorter life expectancy than their parents”. In 2005, almost two-thirds of American consumers bought some type of organic food or beverage. Why buy organic? In the past we only had to wash a little dirt off our produce in order to feel we were eating clean food. Now, however, we have to worry about hormones, pesticides, chemical fertilizers, and genetic modification. 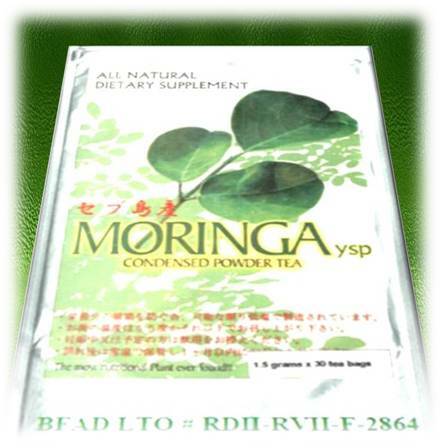 Moringa couldn’t fit the definition of a health food any better than if it had been written for it, as Moringa ysp Tea base ingredient, Moringa, is not only organically grown and tested to be free of chemicals; is also not irradiated. 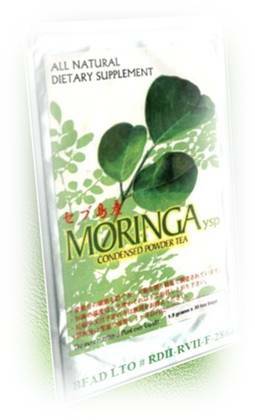 Moringa Tea delivers synergy. Synergy means that the whole is greater than the sum of its parts. Moringa is the only enzymatically ALIVE beverage on the market. With Moringa, it almost doesn’t matter what nutrients your body is lacking; because with the 90+ nutrients naturally occurring in Moringa, you’re going to get them. The vitamins, minerals, amino acids, and omega-3 oils are just the beginning of the phytonutrientsfound in Moringa. Moringa also gives you Z-Atin, the stimulant- free natural trigger for your metabolism that launches your body into absorption mode. Moringa has been formulated to provide you with the highest degree of effective absorbability. 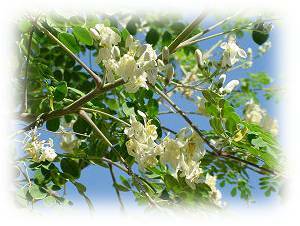 The Moringa is organically grown, shade dried and powdered to maintain the maximum nutritive value, and is tested to be pesticide free. Give your body the nutritional nudge it needs with a healthy food supplement. MORINGA Improves the effectiveness of balanced nutrients in the body including the treasure trove of nutrients you’re already getting just by drinking Moringa YSP. Moringa YSP literally sets your nutritional process in motion. Created by one of the world’s foremost nutritionist, Moringa YSP is the perfect balanced, natural combination of zeatin, quercetin, beta-sitosterol, caffeoylquinic acid, and kaempferol, naturally found in Moringa Oleifera. Each one of Moringa’s components has its own benefits. 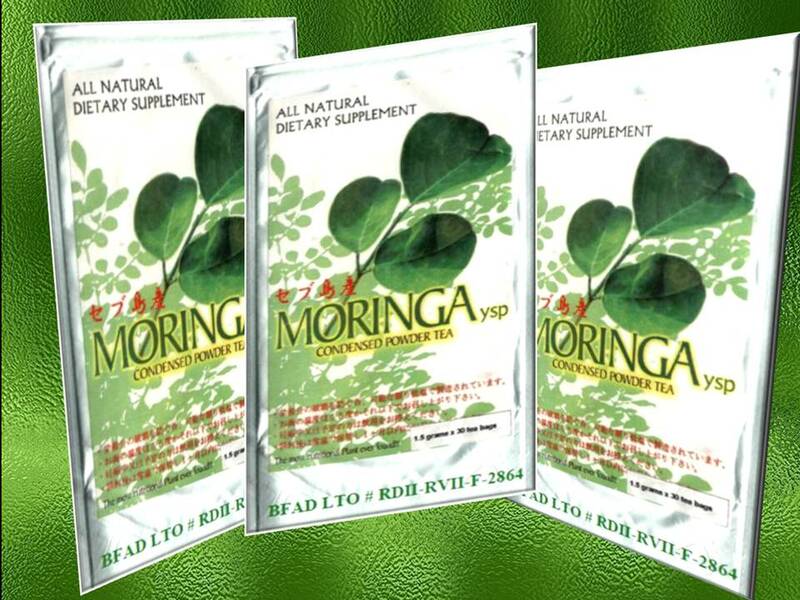 Moringa ysp uses just the right amount of each natural ingredient to maximize the effect of the herbal medicine. Combined, they work synergistically to trigger your metabolism for real nutrient absorption. A supreme antioxidant with powerful anti-aging properties, zeatin is becoming more and more sought after. Zeatin defends cells against free radical damage and protects healthy cells during life’s stresses. The way it helps to slow the aging process is by helping the body replace dying cells more rapidly while fortifying living cells. It can also help promote normal brain and neuronal function and transmissions. So, it’s no surprise zeatin is being tested for it positive effect on various conditions. Nowhere can you find a greater abundance of zeatin than in the Moringa plant. In fact, Moringa has several thousand times more zeatin than any other known plant. The quercetin in Moringa YSP is a vital flavonoid with antioxidant properties. It is one of the best naturally occurring anti-inflammatory agents available, and is currently being tested at the Mayo Clinic in the treatment of certain types of conditions. Quercetin can improve the function of the body’s capillaries and connective tissues, alleviating bruising while promoting healthy veins and arteries. In addition, quercetin improves the body’s absorption of vitamin C and has anti-viral properties that minimize the symptoms of respiratory and sinus problems. This potent flavonoid also helps to maintain your body’s collagen, which keeps skin firm and healthy. Moringa YSP that can help. Because it’s part of the sterol family, beta-sitosterol’s structure is similar enough to that of cholesterol that it can trick the body into blocking “bad” cholesterol absorption from food. Beta-sitosterol also normalizes blood sugar, enhances the immune system, and acts as a supreme anti-inflammatory agent. Mother Nature also provided caffeoylquinic acid and kaempferol to Moringa and these are included in Moringa YSP proprietary formula. Caffeoylquinic acid exhibits significant anti-inflammatory activity and kaempferol is proven to encourage health cell growth and function. GOTTA TRY!!!!! I HEARD SO MANY BENEFITS OF MORINGA . I WAS NOT FAMILIAR WITH THE PLANT TILL I LOOK AT THE MEANING IN GOOGLE. 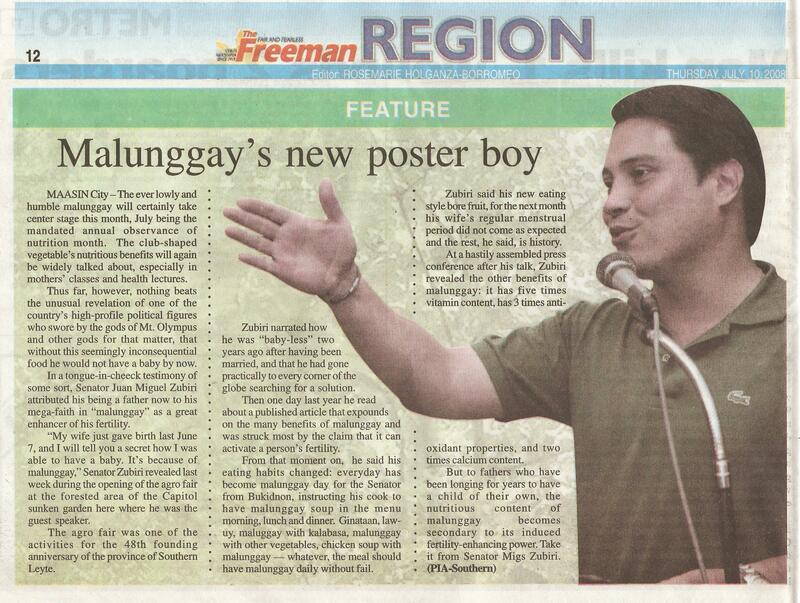 WE CALLED IT HERE “MALUNGGAY”. IT’S VERY ABUNDANT PLANT HERE IN OUR PLACE AND VERY CHEAP TO BUY (5PESO PER BUNCH).. WOW!!! THAT’S AN EXCELLENT INFO!!! THANKS. A Cure for Many Afflictions !!! what useful information, been using moringa dry leaves for the past two years and my bp, cholesterol, sugar levels have been perfect. this should just urge me to keep getting healthy. thx. I started taking Moringa a few days ago on the 3rd day I felt awful headache rapid heart rate tired bloated muscel fatiuge I think it was a 12 hr bug but stoped taking Moringa just in case I was having a reaction is that possiable ? this is very well researched and knowledgable. Thank you. I used to take moringa but didnt have an indepth knowledge of its entire benefits. Now I know and shall continue taking it.